Presenter Joseph Begley and Head of Music Eddie Shaw set off to find him and ended up interviewing him in his car, after a huge cordon put in place in the centre of Lincoln, when a suspect package was found on a bus. 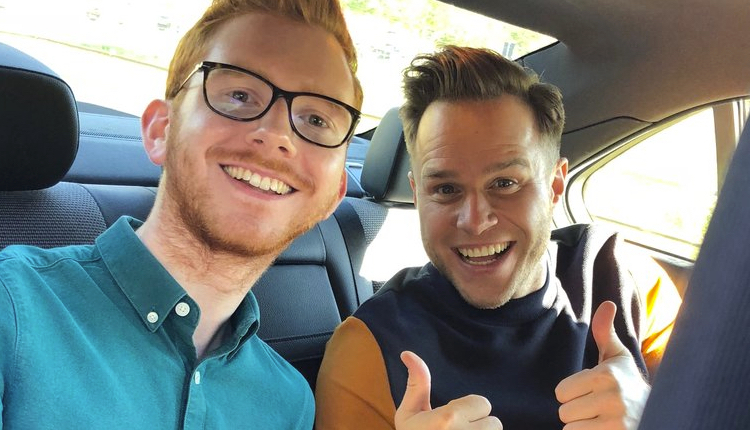 Eddie Shaw told RadioToday: “I’m not sure if it is a first for Olly, but it’s certainly a first for Lincs FM to interview a pop star in the back of a car, under such circumstances. He was only too happy to record the interview and found the whole thing hilarious! Is this the same Olly Murs who was “caught up in gunfire” in Oxford Street last year?